One of Britain’s most creative and distinctive pianists, Julian Jacobson is acclaimed for the vitality, colour and insight he brings to his enormous repertoire ranging across all styles and periods..
Julian Jacobson was born in Peebles, Scotland. His father Maurice Jacobson had had some piano lessons with Busoni while his mother, pianist and composer Margaret Lyell, had studied in Berlin with Else Krause, daughter of Liszt’s pupil Martin Krause. Julian studied in London from the age of seven with Lamar Crowson (piano) and Arthur Benjamin (composition), and had published four songs by the age of nine. From 1959 to 1968 he studied at the Royal College of Music where his principal teachers were John Barstow and Humphrey Searle. On graduating with the Sarah Mundlak Piano Prize in 1968 he took up a scholarship to read Music at Queen’s College, Oxford. At this time he was also a founder member of the National Youth Jazz Orchestra. After further studies with Louis Kentner he made his London debut at the Purcell Room in 1974. This was followed immediately by the first of five appearances in the Park Lane Group’s annual Young Artists series and his Wigmore Hall debut as both solo recitalist and chamber musician. During the 1980s he established himself as a fine duo and ensemble pianist, partnering artists such as Zara Nelsova, Sandor Vegh, David Geringas, Christian Lindberg and Manuela Wiesler as well as many leading UK instrumentalists including Nigel Kennedy, Steven Isserlis, Moray Welsh, Colin Carr, Alexander Baillie and Philippa Davies. His appointment in 1992 as Head of Keyboard Studies at the Royal Welsh College of Music and Drama led to an increasing concentration on solo work. 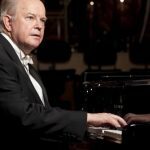 In 1994 he embarked on his first cycle of the complete 32 Beethoven sonatas; he has now presented the cycle eight times, the last two in a single day (apparently being only the second pianist to attempt this). His 2003 marathon at St James’s Church Piccadilly attracted worldwide media coverage and raised over £6000 for WaterAid. Julian Jacobson has performed as soloist with orchestras including the London Symphony, BBC Symphony and City of Birmingham Symphony, the English Chamber Orchestra, London Mozart Players, London Sinfonietta, Bournemouth Sinfonietta, Bucharest Philharmonic, Icelandic Symphony Orchestra and Royal Omani Symphony Orchestra, with conductors such as Sir Simon Rattle, Tamas Vasary and Jane Glover. His many festival appearances as soloist and chamber musician include Edinburgh, Aldeburgh, Bath, Brighton, Cheltenham, Dartington, Glasgow, Huddersfield, Norwich and Prussia Cove on tour. He has appeared in more than forty countries on five continents, with tours of the USA, South America, the Middle and Far East (where he gave what appears to have been the Chinese premiere of Beethoven’s “Hammerklavier” Sonata in 1994), South Africa and Australia as well as throughout Western and Eastern Europe. 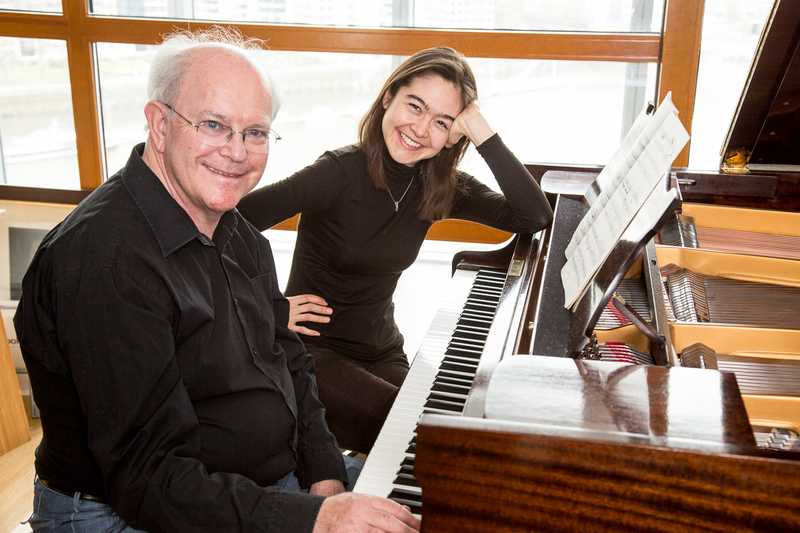 An ongoing commitment to contemporary music has led to many commissions and premieres. In 1987 he gave the critically acclaimed UK premiere of Ligeti’s now famous Etudes Book One; a subsequent recording for BBC Radio 3 was highly praised by the composer. A longlist of composers who have written for him includes Robert Saxton, Simon Bainbridge, Benedict Mason, Philip Cashian, Daryl Runswick, Keith Tippett, Charles Camilleri and Robert Keeley; Michael Nyman wrote the piano trio “Time Will Pronounce” for his ensemble the Trio of London. A large and varied discography for labels including Meridian, Chandos, Hyperion, Decca Argo, BIS, Continuum and Metier includes albums of Schumann, Dvorak and Balakirev, the complete sonatas of Weber, the Carnival of the Animals with the London Symphony Orchestra, Martinu’s “Sinfonietta Giocosa” with the Bournemouth Sinfonietta under Tamas Vasary, and violin and piano music by Enescu, Dvorak, Vaughan Williams, Fricker and Rawsthorne with Susanne Stanzeleit. His album “Classical Flute à la Jazz” with Judith Hall contains his own jazz waltz, “Waltz for Judy”, published by Bardic Edition together with several other waltzes. Other compositions include five film scores, including ‘To the Lighthouse’, ‘Hard Travelling’ and ‘We Think the World of You’. In ‘The Fourth Protocol’ he made a screen appearance conducting the London Philharmonic Orchestra. In February 2007 he conducted the premiere of his “Vers la Valse” for flute and orchestra with Ileana Ruhemann and the Syred Sinfonia. recitation role of Schoenberg’s “Pierrot Lunaire” to his repertoire, giving his fourth performance of it in October 2009 in Jacqueline du Pré Hall, Oxford.